Fracking.... is it really a game change for South Africa? 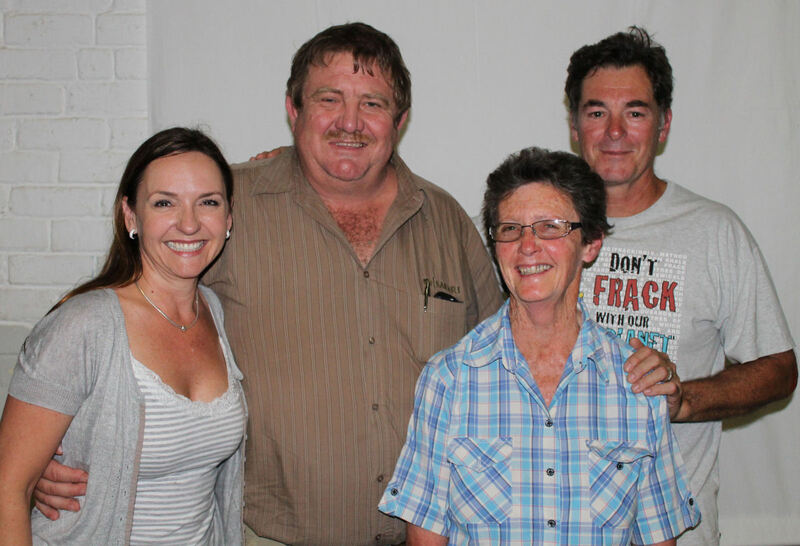 This is the subject of a most informative and well-illustrated talk that Jonathan Deal of TKAG (Treasure the Karoo Action Group) fame gave in Montagu in November when he addressed members of the community on the possibility of future �fracking� in the Karoo. As Jonathan stated, there are always winners and losers in any format of a game and in the case of South Africa, he is absolutely convinced that any winners will come solely from the group that is already well endowed while the losers will be the many poor residents of the Karoo who have worked and lived on the farms and in the small towns most of their lives. Jonathan�s well-researched information on �fracking�, inter alia in the Americas and in China and the East, pointed heavily to the overall disruption experienced with governments purporting to be serving the interest of their citizens but, in fact, looking after their own financial interests! That the Netherlands does not allow �fracking� in its country with one of the largest oil companies in the world having its headquarters there, was but one of the interesting points which he made. He highlighted some countries and places in the world (at least 211 places) where �fracking� is prohibited and made special mention of countries such as Germany, France, Spain and Switzerland. Although Jonathan and Sharon Deal own a farm in the Karoo and the nationally well-known book, �Timeless Karoo�, was published by them in 2007, it was really only in 2011 that Jonathan read a newspaper article about the plans of one of the world�s largest oil companies to apply for exploratory permits to drill for natural gas in the Karoo. Although he had heard about �fracking� previously, this was the first time that he actually became aware of its threats to the particular region. As he stated, he went from being �a nature lover to an environmental activist�. As explained, the main aim of his talk was to expose exactly what is currently happening and to consolidate a response while time still permitted. Through presenting �Facts�, explaining �Environ-conservation�, the �Smell of money� and the �Love of the community�, the latter as propounded by the oil companies and their allies, Jonathan kept his audience fixed to their chairs for over two hours. In answering a number of questions from the floor, the speaker undoubtedly succeeded in bringing into proper perspective the whole question of whether �fracking� is indeed a �game change for South Africa�. His and the audience�s opinion was a most decided N0! Montagu was indeed very privileged to have the opportunity to listen to this year�s winner of the world�s largest prize honouring grassroots environmentalists, The Goldman Environmental Prize.